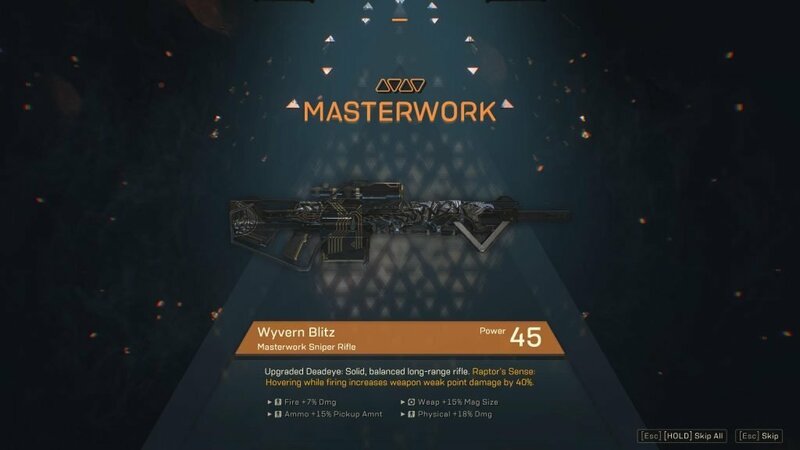 Make no mistake, Anthem is an Early Access title. The publisher approved term here is ‘Game as a Service’ (GaaS) and sure, it’s that too. 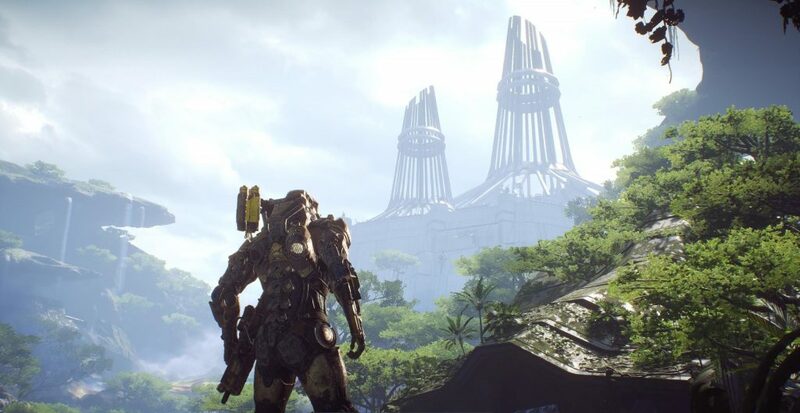 But if you’re buying Anthem now, you’re likely buying into the promise of what it is to become. You’re likely buying it because you want to support the developers in their efforts to bring their vision to life, because that vision is something you want in your life. This isn’t a new concept, but it’s a creeping trend in the AAA space. And in my view it is every bit the gamble that Early Access is with a relatively unknown Indie developer. Sure, developing new titles is expensive — building the minimum acceptable product cuts those upfront costs down, brings in revenue early, and most importantly (and where our risk comes in) allows a more sensible commercial decision to be made on to what extent the studio will continue to support the title post-launch. With this being the case, the review conclusion comes down to a statement you’ve likely seen in countless Steam reviews for other Early Access products. — Countless Steam reviews for Early Access products. There is an argument to be made that it isn’t entirely fair for AAA publishers to expect to be allowed to play on the same level as an independent developer in this way. It might even be an argument I would agree with. But for the purposes of this review, here and now, it’s an argument I’m not going to get into. Also? We’re getting way ahead of ourselves. 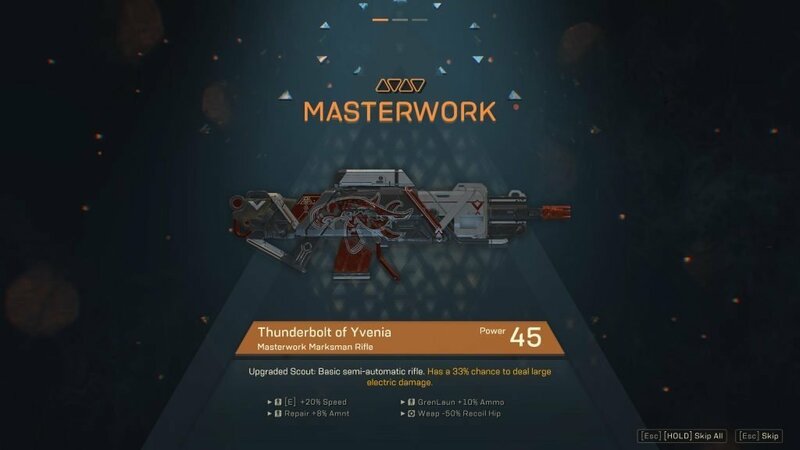 Is the Current State of Anthem Fun? I’m not an EA Game Changer and I have no personal ties into EA or BioWare. Not so much as a Twitter follower from these companies.1 Further, unlike many of the YouTubers cashing in on the entertainment value of negative reviews, I have no monetisation on the line for this in any form. That out of the way? 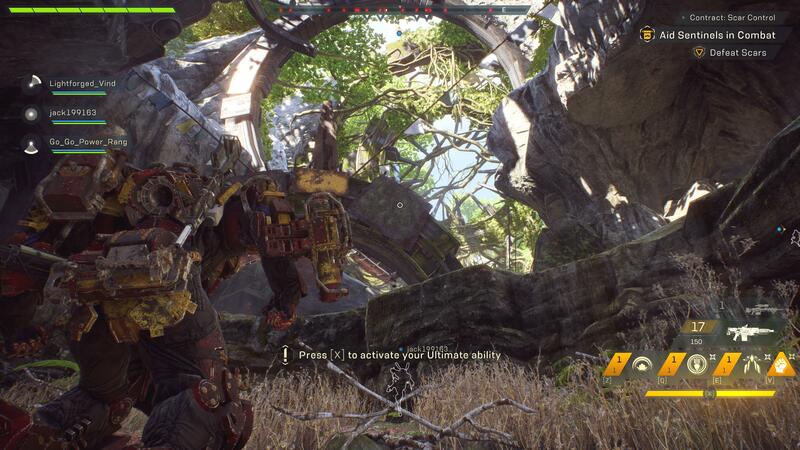 Not counting however many hours I spent with the demos, over both that weekend and the following weekend, I now have 50 hours with the Feb 15th launched version of Anthem. 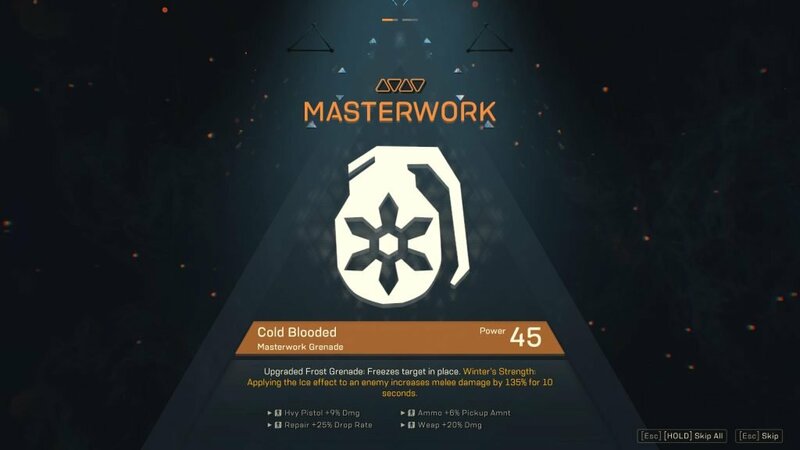 In that time, I’ve completed the Main Story Quest, the Agent Missions, dozens of contracts, started pushing into the Grand Master difficulties, taken on Legendary Contracts and battled through the Strongholds. I can still 100% stand behind that statement. The Javelin gameplay is incredibly satisfying, with the freedom of flight and aerial combat simply not seen in its genre competitors2. The gun play is solid, with a wide variety of weapon types — further diversified by several sub-types existing in each ‘main’ category, each with their own twist on firing style. Sure, guns are good — but the abilities are better. Your abilities are there to be used and generally have quite a short cooldown or recharge. 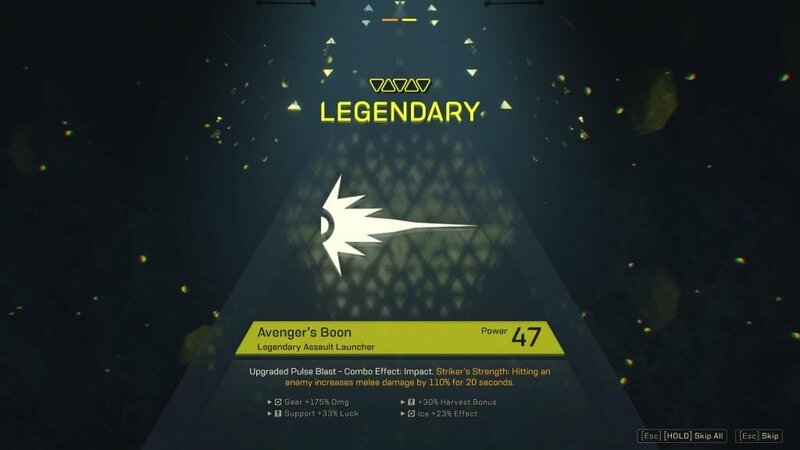 Each Javelin (Ranger, Colossus, Storm and Interceptor) not only has a unique set of these abilities provided through Gear slots, but also very different handling characteristics. Fifty hours in, and I’m still not feeling ‘done’ with the game’s launch content either. So sure, Anthem is fun. Not only is it fun, there is a fair chunk of content even from just the base game’s inclusion, Early Access or not. But (yep, we’re into the ‘buts’ now) this fun is to be had in despite a number of issues, some stemming from the very fact that we’re being passed an Early Access title by stealth. For better or worse, it is typical for an Early Access title to launch to the world with issues. Some of the issues with Anthem fall into this type, I think. Things that can be solved with time and effort on BioWare’s part. I feel like the Loading issues are well documented, but if you’re unaware… An SSD should be listed as a mandatory system requirement for the game. If you must install Anthem to a standard HDD, prepare for a bad time when it comes to loading missions. In fact, for story missions (Main, and Agent) if you’re having to load from a standard drive and you can’t play with only friends who will wait — set the game to private and solo. If you don’t, you may load into a mission 30-60 seconds after everyone who has put it on their SSD does. By then they will have flown off and started things. Worse, Missions have a very tight distance tether. So, what happens when you’ve loaded in, to find your teammates most of the way to the first objective? The game helpfully teleports you to them. Via a load screen. A load screen almost as long as the first one. If you’re really unlucky, this can become a chain. The patch coming on February 22nd has some further optimisations for loading from a HDD, but the speed is only part of the issue. The sheer frequency of the load screen triggers is intense, even getting into managing your loadout or appearance, for example? Load screen. If you apply a reductive mindset, you can break down any of the Looter Shooter games to a small set of very simple mechanics. Get to a place, kill a thing, maybe move one thing to another thing, etc. We don’t fault those games for these simple mechanics typically, because they wrap them in story. We’re not just standing around fighting waves in a room, no, we’re buying time for civilians to escape out behind us! 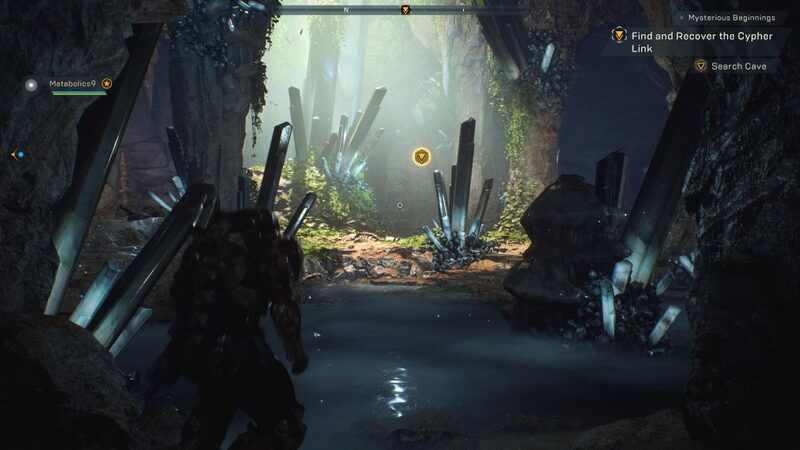 Anthem’s missions aren’t necessarily mechanically any worse than these other games — but there is no meaningful effort to dress them up or immerse you in story reasons for why you’re doing it. This might sound like a small thing and I suppose in some ways it is. But when you ask someone who has played this, and say The Division which hides the mechanics much better behind the story, which game has the more satisfying mission mechanics? Even though The Division is not objectively any better in this regard, they will tell you that it is. This impression matters and makes it much harder to invest in what you’re doing. The story is not up to BioWare standard. It’s perfectly serviceable, if not actually good so far as looter-shooters go. I didn’t hate it by any stretch, and unlike many I found the character conversations to be interesting. But as interesting as they are, there is not much in the way of consequence or change as a result of what you say or do. It is this element in particular I miss from the usual BioWare formula. You can affect some very tiny changes to your personal version of Tarsis, just… Not much. The story also feels like (because it is) just an Act 1 to the overall story. Sure, we get an ending of sorts. But it’s poorly paced and the ending we get doesn’t feel at all deserved. 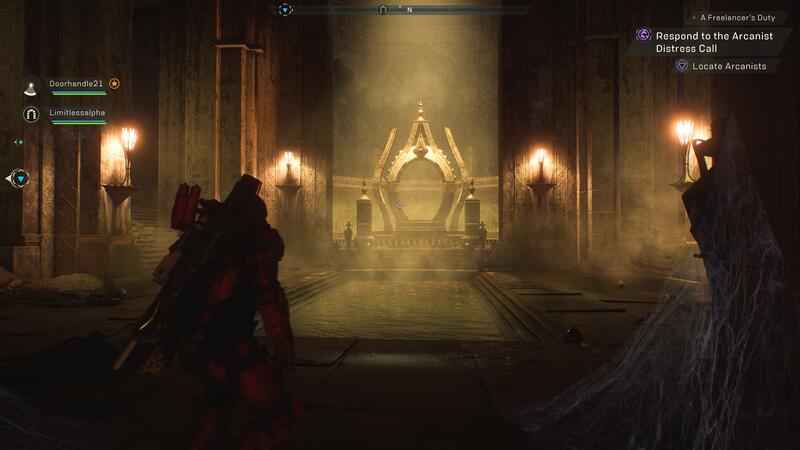 BioWare plans to extend this story out overtime through free content/story updates, which is something I applaud. Also I admit to being extremely keen to find out where the post-credit teaser revelation takes us in the coming months. But the story issues also extend to the implementation. Outside of some cutscenes, all your story beats occur back in Ft Tarsis, completely segregated from the actual ‘game’ of Anthem. This is a Singleplayer only area to protect your experience with the story. But if you’re attempting to play with friends, you’ll have up to 15-20 minutes at a time talking your way through Tarsis to contend with. If some of your group are interested in the story and some aren’t no-one is going to feel very happy about this. I mentioned story pacing, right? This right here was one of (but certainly not the only) culprit in this arena. With the 15th Feb launch, this mandatory-to-proceed ‘story’ quest required players to run through a set of ‘challenges’ such as open 15 chests, get 10 collectibles, get 50 melee kills, etc. Adding insult to injury, the 15 chests required each individual to open their own set of 15. Being in a squad standing right by the chest being opened was not enough. (Already implemented) Tracking of the quest objectives start from Level 3 (down from level 10 previously), such that by the time you GET to this quest, it’ll be quite likely you have much of it done. Chest opening credit will apply to squads, so just 15 chests will be needed, rather than having to hunt down up to 60 for a full squad. This whole quest though is nothing more than an attempt to pad out the game time. … Or at least I thought so until right this moment. 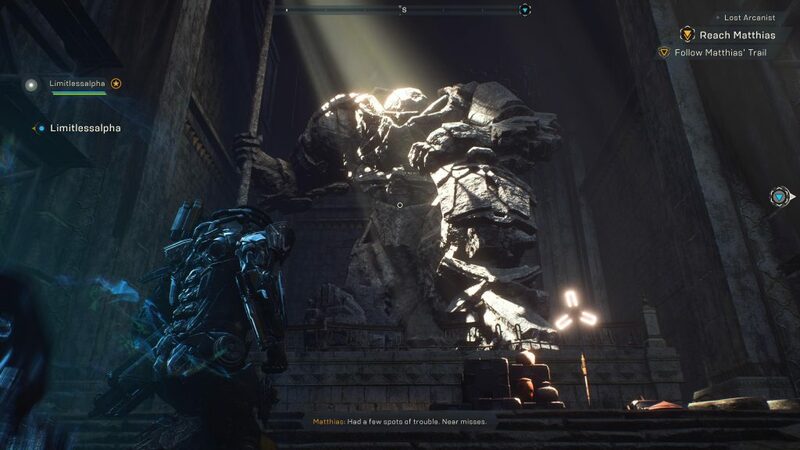 It just occurred to me that possibly it’s rooted in the same issue as I outlined with Mechanics, where Anthem just has absolutely no creative spark when it comes to hiding or at least wrapping what it’s asking you to do in a better story context. The Menu and UI setup remains high on my list of bugbears. Both for how it does work and for what it is missing. The pain of using the Menu’s I outlined in the Anthem Open Demo Impressions still holds fairly true. We have had some improvements in being able to click through to the next layer down, but it still has a long way to go. I also noted in the Anthem VIP Demo Impressions that there was no possible way to view your overall Javelin stats and bonuses. Or even basic information such as what your base shield/armor values are. That’s still true, and in my view needs addressing. It is a fairly core component of the ARPG and Looter Shooter genre. Then there is the matter of variety — in creatures, enemy factions and biomes in particular. That last has been quite a deal breaker for some already. The continuous sea of jungle with no respite is just too much. Personally? I prefer this over abrupt borders of desert to snow that some open world games provide, but even I must admit… I’m really hanging out for some new land masses to be added. There is also no questioning that the end-game content is a little light at this point. 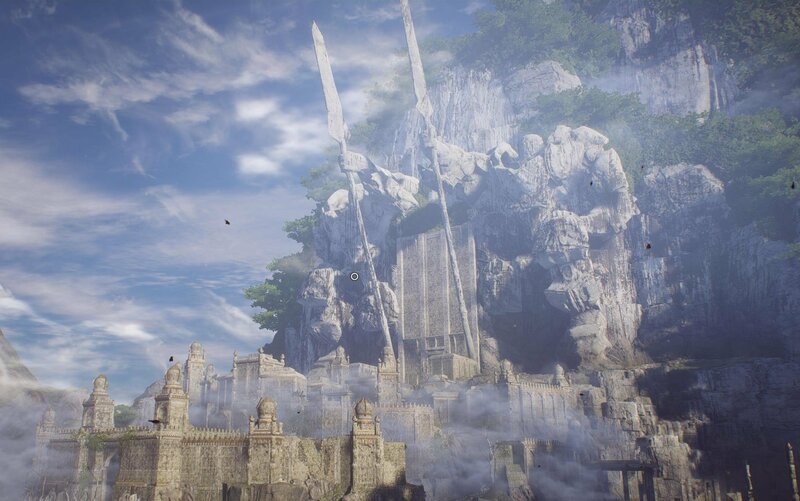 e.g., there are only three strongholds (full-sized dungeons) and then the open-world content such as Freeplay, Contracts and Legendary Contracts on Grand Master difficulties. These also all add up to the feel that Anthem is currently an Early Access title. Sure — it is one with promise, but certainly not one ready for a descriptor of ‘Fully Launched Title’. Anthem is flawed. Beyond any shadow of a doubt. 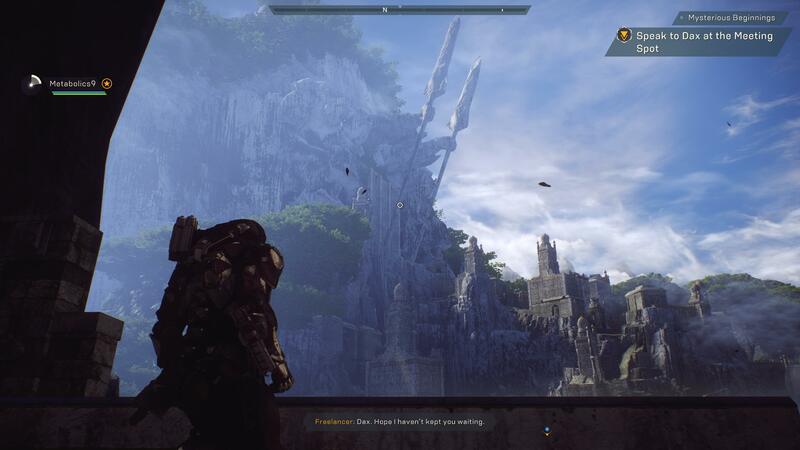 I’ve outlined what I see to be the worst features of the game in its current state, but also how despite them there is an exceedingly fun time to be had with Anthem. The question then becomes, as alluded to right at the beginning: Do you think that you, personally, could enjoy the game in its current state despite the issues mentioned? 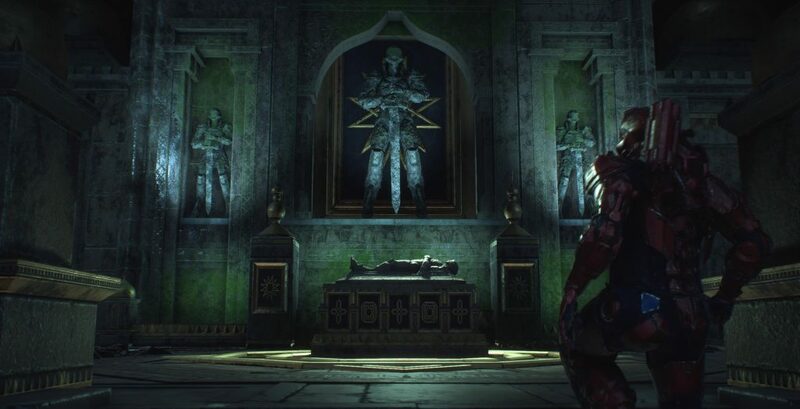 And if not, do you at least believe that Anthem will continue to deliver sufficient post-launch content and is this a vision you want to support and buy into? I do. 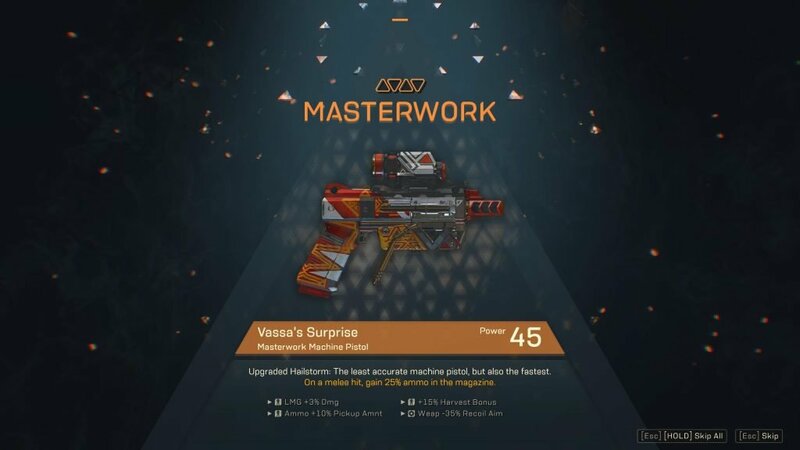 The developers at BioWare have gone to great lengths to be transparent about the goings on, what is in, what is out, what is coming down the pipeline for later. 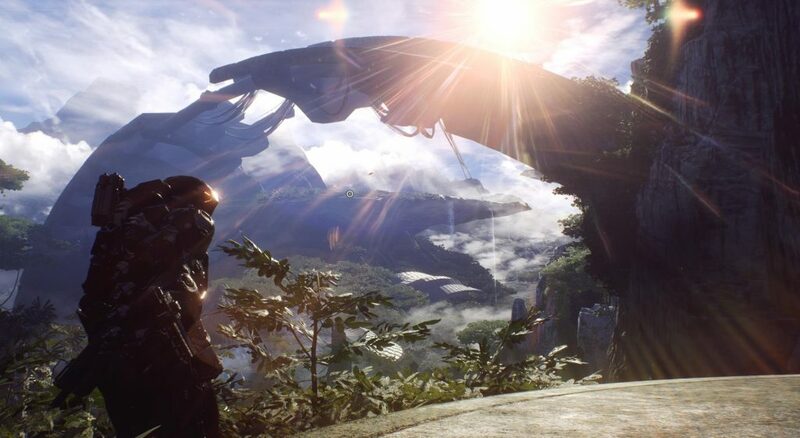 My only niggle of reservation is whether, if sales are not immediately ‘awesome’, will EA continue to support BioWare in getting Anthem to where it needs to be? This is the ‘gambling’ aspect of it, I think. For what it’s worth, I can only imagine that releasing in this early state is an intentional and calculated move on their part. One they’ve done before with Battlefield V, and that title is still seeing content updates to flesh out what was missing at launch. So for all this, I think there is no harm in considering Anthem again in a few months time after it’s had some time to settle some of the bigger issues. Especially if one of the other big releases this month is vying for your dollars. Otherwise, don’t be afraid to give Anthem a go for yourself and just form your own opinion. Consider trying it out even through Origin Premier Access with just a month’s subscription perhaps. 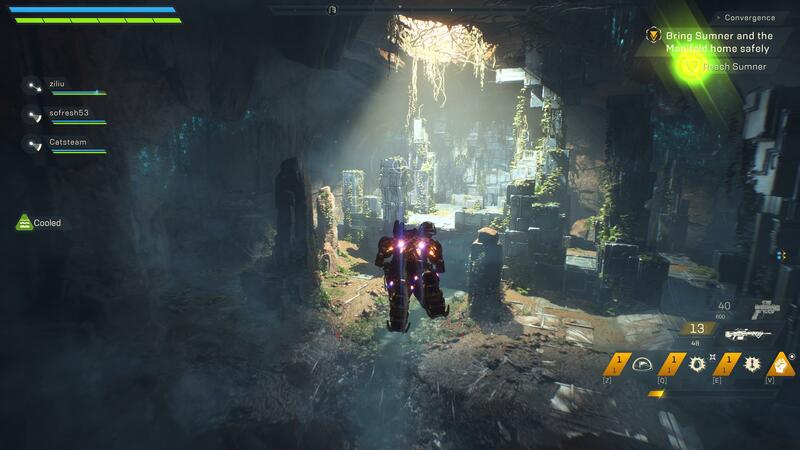 Within a month you will well and truly know whether Anthem is for you and how you feel about the cadence of updates. Should you enjoy what you’re playing then you can buy the game with the benefit of 10% off if you do it before the subscription entirely expires, or you can part ways without having had to part with a larger chunk of your hard earned money. For what it’s worth, I feel I’ve already extracted value for money out of what was present just in the Feb 15th launch content. I could comfortably put it aside and not regret my purchase. But that’s not why I bought Anthem. I want more. The Story of Anthem was a bit of a let down when held up to typical BioWare fare, sure, but the world building? That was top-notch. There are so many places I want to go see in this world that has been created. So many things referenced in lore that I want to get to know about first hand. You might have noticed I didn’t list the MTX as an issue. I guess the short of it is, with current implementation — I’m not worried. At all. Should legendary grade armor, emotes, etc, come out at some truly ridiculous price point (in either coin or shards!) then I’ll update accordingly. But my belief is that the coin income has held up into the end-game very well. It is going to take a very long time for the one-time challenges to dry up when you consider that they exist for every weapon, for every gear piece of every Javelin, for exploration of every area and more challenges besides. Then there are the constantly ongoing set of 3 dailies, weeklies and monthlies for additional income. There is more than what is shown via the table in the Freelancer Barracks, make sure to always be checking out your challenge entries in your Journal / Cortex as well. Anthem is the catalyst for this post, but the discussion could certainly be taken more broadly. Also, I want to make it very clear that I’m not excluding myself from this. No-one is free of bias, the best one can do is try to be aware of where your personal bias’ lie and take the necessary steps to mitigate them. 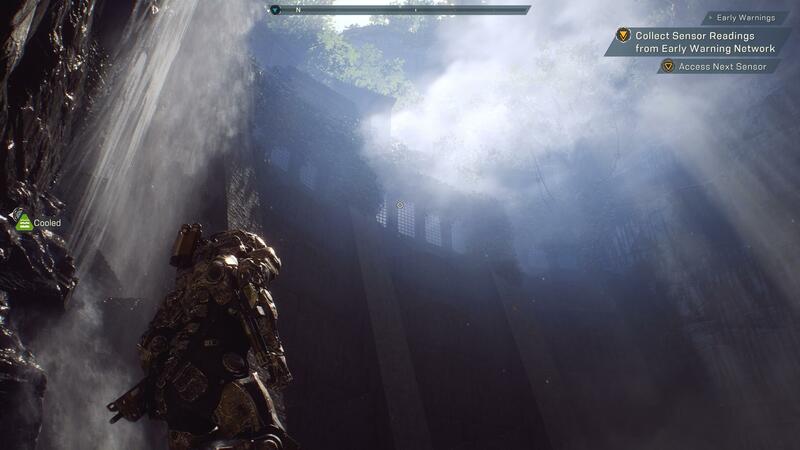 Whatever else you might think of Anthem; it can certainly look good. My bias toward Anthem is something I first raised after exposure to the demo weekends, again while writing up my impressions of The Division 2 beta and most recently mentioned being in the ‘honey-moon period’ for my early impressions of the early-access launch. This is all good and well, but I want to write a review that will be useful to people shortly. So at least for myself, I need to confront the assumptions and biases I’ve held to date, and break the echo chamber effect1 somewhat in order to do so. What was my starting level of bias? Well… I essentially came out of a 5+ year blogging hibernation for the express purpose of talking about Anthem. That should put some context to it for you. At the time I made the decision to come back to blogging for it, there is very little I could have heard or seen that would have dissuaded me from the position I then held. Nonetheless; over the course of this (admittedly so far short) stint at returning to blogging, I’d already started to self-moderate. I had seen signs I was being unreasonable in my expectations. I was shrugging off certain things that really do deserve constructive criticism. Enjoying a thing is absolutely fine, good even. We are, for the most part, much too ready to jump down negatively on almost anything and everything. I know that my natural inclination is one of skepticism and disbelief. Before this, I would have told you that I’ve been around the pre-launch hype of too many games to be taken in again. Prove to me it’s worth the hype and then maybe, possibly, I’ll change my tune. I couldn’t tell you what it was about Anthem that captured that remaining, ‘I want to believe’ spark left in my imagination, really. But capture it it had. I’m still enjoying the game. No-one (including myself) has been able to talk me out of having fun with Anthem. This is not always a given, either. My Steam library is littered with titles of a more-easily-hyped-Naithin, and some of them to this day have not been loaded. Even once. 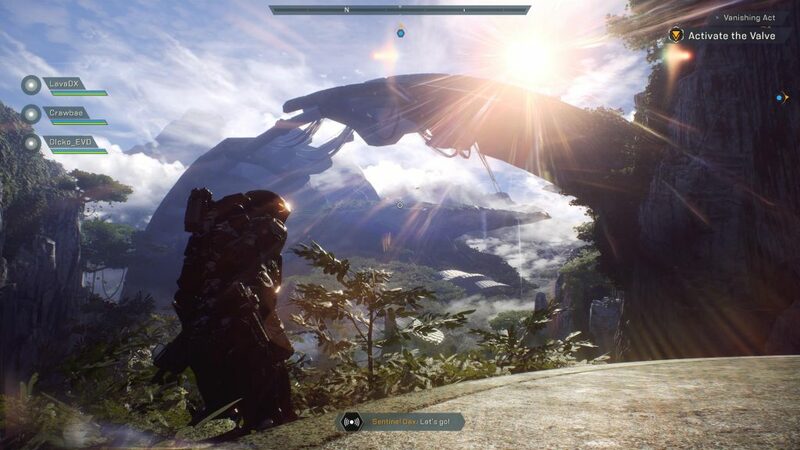 I have something like 35 hours into Anthem now and still hunger for more. To get there, to this more balanced position, has meant going out of my way to listen to dissenting opinions. Going willingly into the lion’s den of negative opinion about something I enjoy, and considering whether each individual complaint holds merit in as detached a manner as possible. So yes, the review will start rolling out soon. Depending on length I may section it off. In particular because I can write about story with some confidence in it not materially changing with the patch on the 22nd Feb. Yes — Anthem has problems. The load screens being a big one (especially for those without the luxury of an SSD they can make space to fit the game on). There are other issues too in my opinion with how itemisation is handled and certain story decisions. But equally, Yes — Anthem is fun despite these problems. Anyone telling you that you can’t have fun with the title in it’s current state is wrong. Now, whether you are willing (or able) to support a full-price game that is coming out with these issues is another matter, and a decision not to is certainly one I could respect. I want to play Metro: Exodus so much, but I simply refuse to support Epic while their means of acquiring market-share is to introduce third-party exclusives to the PC market. I will wait a year for a Steam release rather than give them a cent of my money now. So I do get taking a stand. Also, there are a lot of pretty good titles coming out right now besides. If you’re on the fence, but interested, I think the best thing you can do for yourself (if you’re on PC) is to grab one month of the EA Premier access. This will give you a full month of unfettered access to try it out for yourself, and form your own opinions rather than take my word, or anyone else’s. If at the end of the month you’re still invested, and/or the coming content drops sound interesting, you can then choose to invest (with 10% off the purchase price, if you do it before your month runs out).